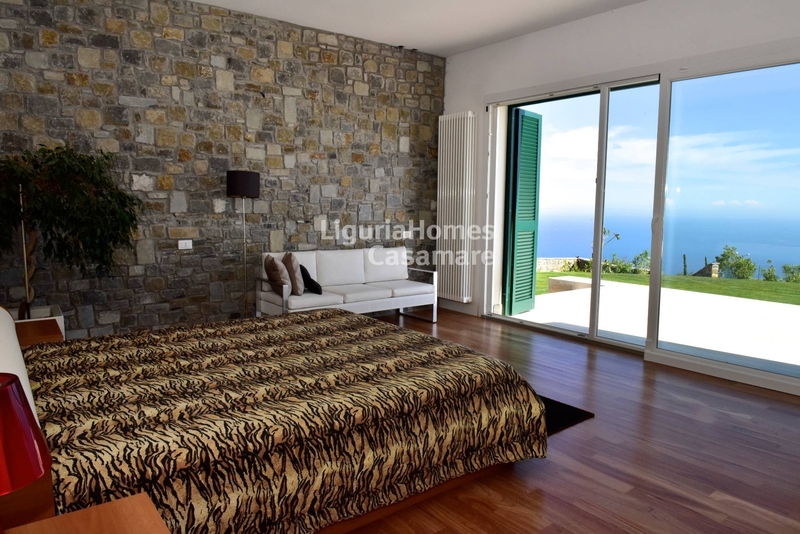 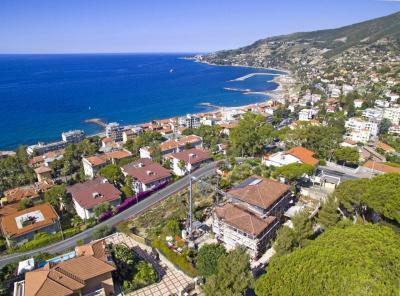 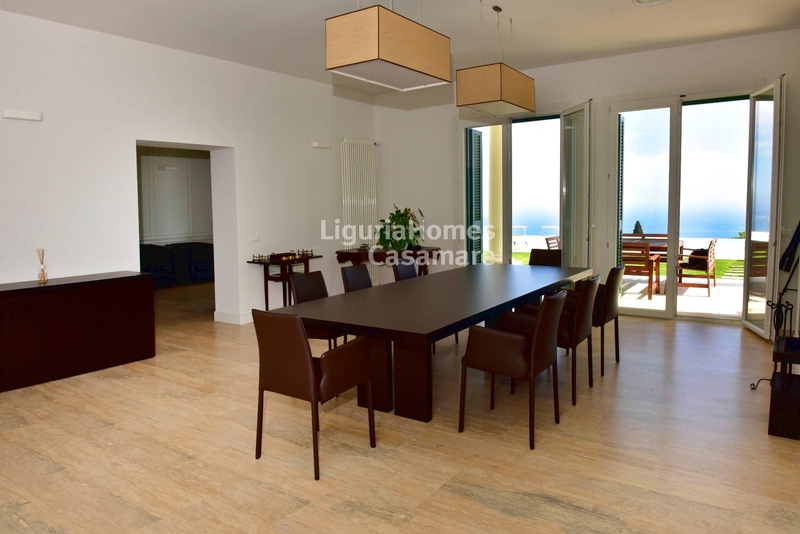 Prestigious Villa for Sale in Liguria. 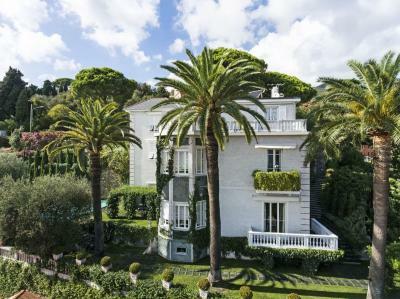 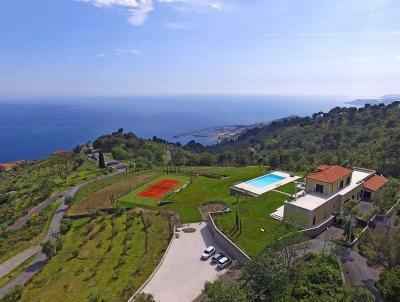 Less than an hour from Monaco and Nice Airport and only 20 minutes from Sanremo, in a place where culture and history create a perfect blend with the surrounding nature, we find this wonderful prestigious Villa for Sale in Liguria. 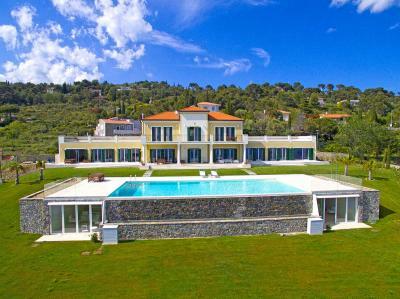 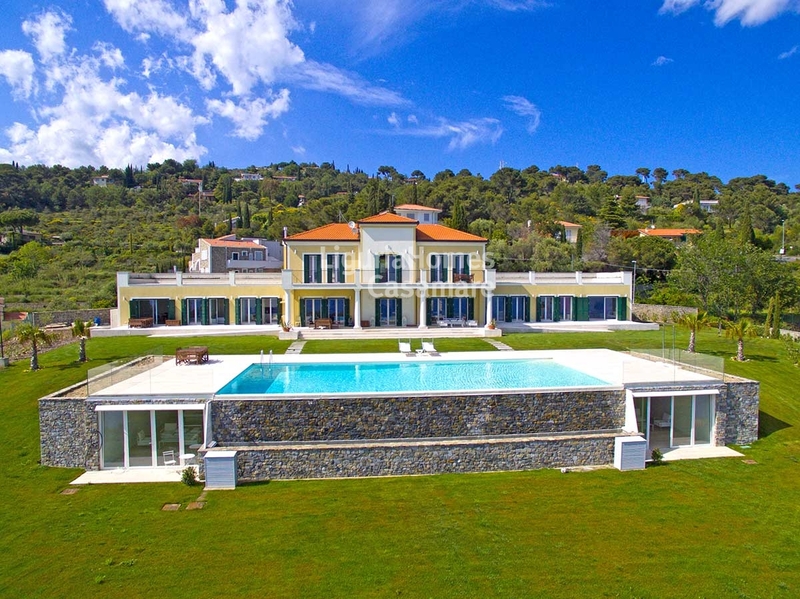 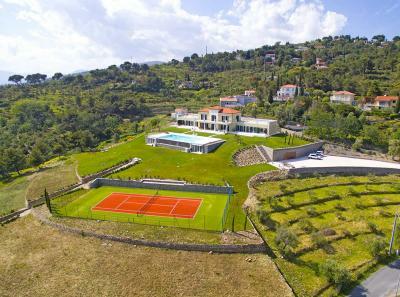 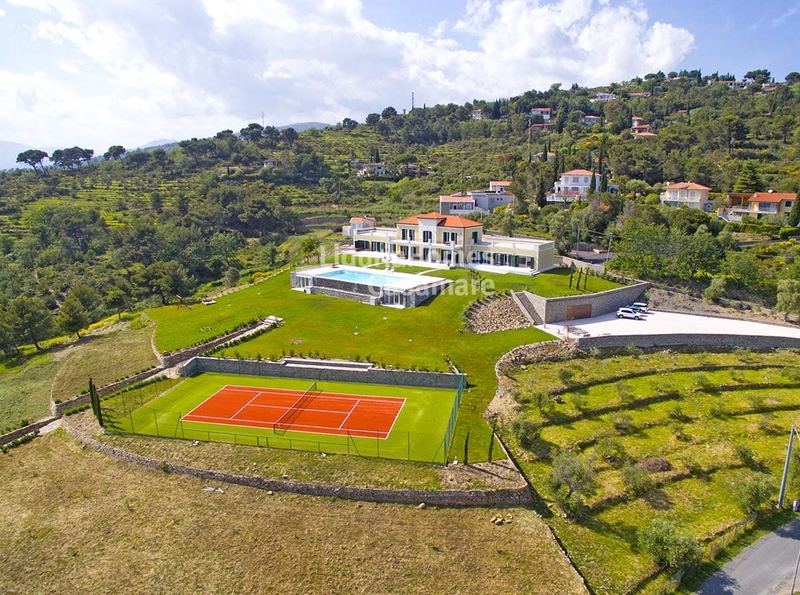 Wrapped in 3 hectares of magnificent mediterranean green, this prestigious Villa for Sale in Liguria enjoys a dominant and undisturbed position from which one has a unique sea view by amplitude. This prestigious Villa for Sale in Liguria has been recently restored to a perfect fit between modern and antique, with spacious and functional environments furnished by skilled minimalist style hand. 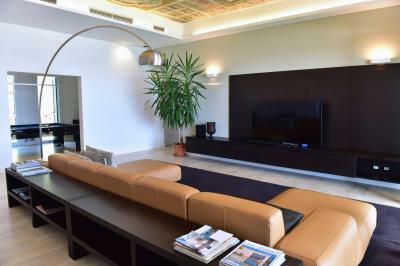 The prestigious Villa has 800 sqm of interior space and has 8 bedrooms, of which 3 master suites with dedicated bathroom, a large living room with cinema area, a dining room, a billiard room, a library room, three internal kitchens, and a wellness area. 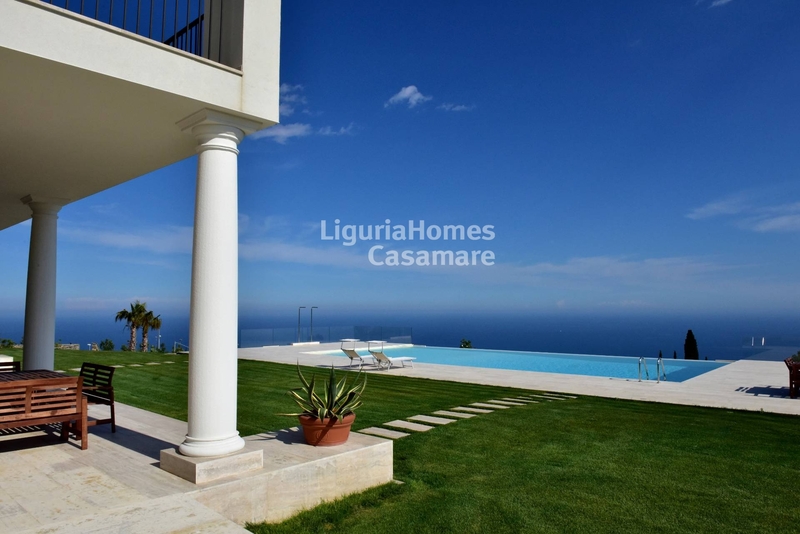 2 huge lateral terraces give to the property a sense of movement and enjoyability. 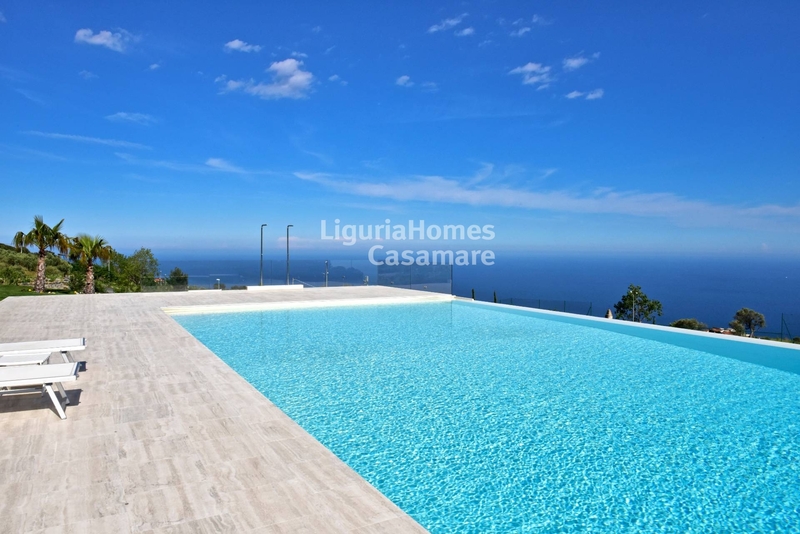 The majestic saltwater swimming pool and the relax area blends in with the blue of the sea in a spectacle of colors while a new tennis court, a children's playground, a gym and 2 dependances complete this exclusive and prestigious Villa for Sale in Liguria.